Robert “Bob” Buckley is a devoted medical malpractice and catastrophic injury attorney. For nearly 40 years he has practiced law in the Independence area. Bob strongly believes medical negligence litigation has a positive impact on improving health care in America and spends an extensive amount of time educating himself on medical issues to better serve his clients. Bob was the lead attorney in the landmark case of Roth v. Turbomeca, where he successfully argued that a flight nurse severely injured in a helicopter crash could sue for damages for being wrongfully induced to settle her lawsuit by lies about insurance coverage, yet still enforce the underlying settlement. As a skilled personal injury attorney, Bob’s greatest strength is his ability to develop strong relationships with his clients who regularly refer his work. He has settled countless personal injury cases including nursing home negligence, wrongful death through overdose, emergency room injury and medical misdiagnosis. Prior to becoming a partner with the firm, Bob spent more than 20 years practicing law in Independence, MO. His wife Kim has been his paralegal for almost 30 years and serves as White, Graham, Buckley & Carr, LLC’s office manager. Bob is an active member of the Independence community. He is a regular columnist for the Independence Examiner and has written more than 300 columns to date. Bob is committed to helping youth in his community. He founded a nonprofit organization called Bears Tomorrow, Inc. The nonprofit helps area youths develop their athletic potential and leadership skills. Bob is also active in William Chrisman High School activities; he has been the school’s Booster Club president for five years, and is the home game announcer for football games and boys’ varsity basketball games. 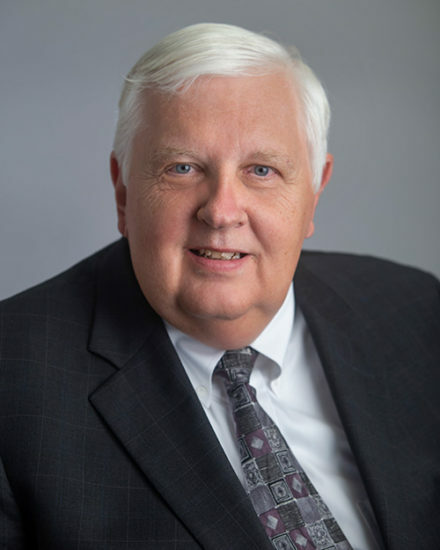 He is vice president of the Foundation of the Independence School District, and he and his wife, Kim fund annual scholarships for graduating seniors of William Chrisman. Bob and Kim also established a donor-advised fund to help disadvantaged youth with the Truman Heartland Foundation. Bob received his J.D. from the University of Missouri at Kansas City in 1979. Prior to that, he received his M.P.A. in 1977 and his B.A. in 1975.